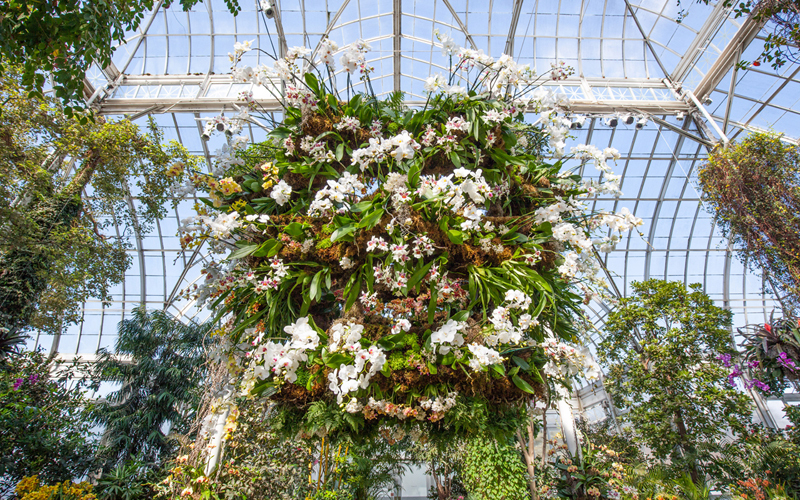 The NYBG Orchid Show is on until April 19, 2015. The weather is getting warmer and it’s a great time to visit the Garden for their annual Orchid Show in the Conservatory. Much of the show is suspended from the glass ceilings this year. Here is a link to the Garden’s website. 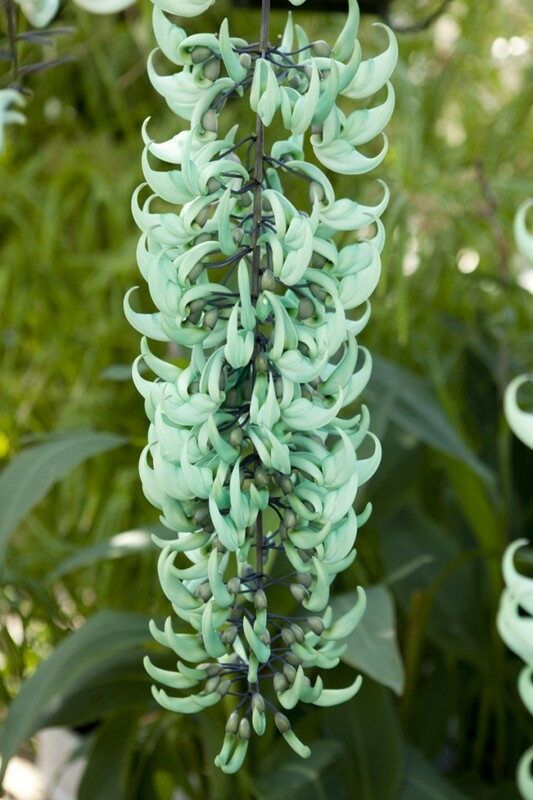 It is a double treat because both the green and red JADE VINES are in bloom in the fountain room. They are spectacular and NYBG is probably the only place in the area that has both varieties in full bloom. The Red Jade Vine or Flame of the Forest, is a member of the legume family.